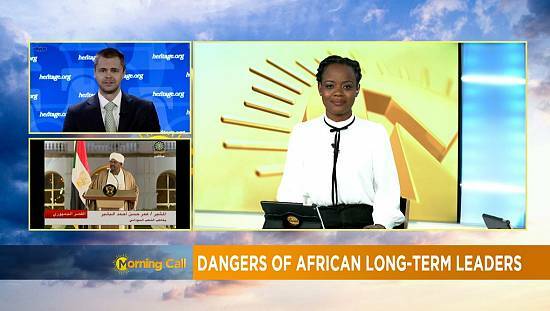 The role of the African First lady continues to be the subject of debate across the continent. 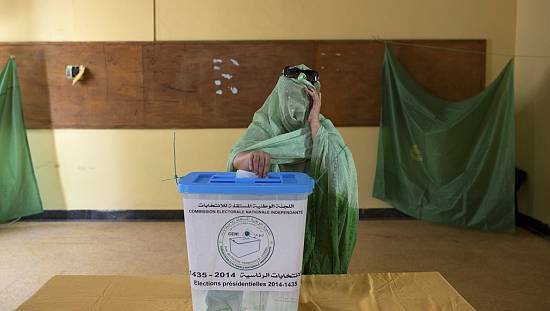 Although not directly elected, they occupy offices attached to that of their husbands. 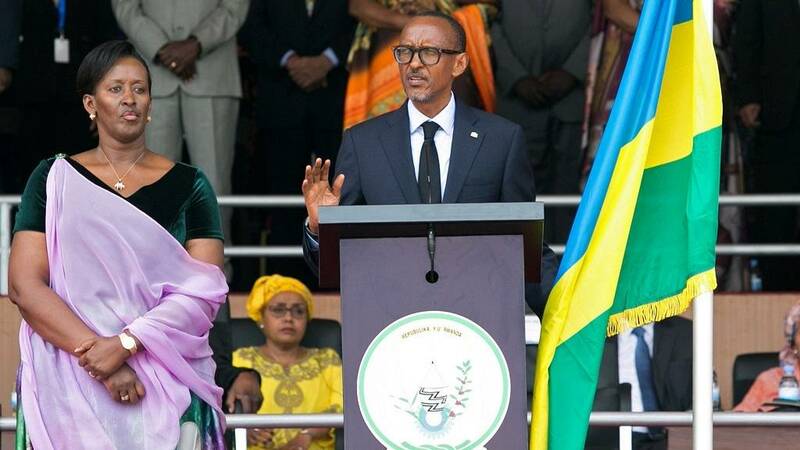 The office of the First Lady is one that resonates across Africa. 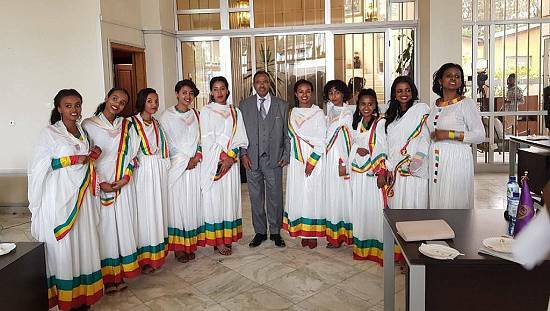 These women are the president’s better half, ‘mothers of the nation’ – they are often called. 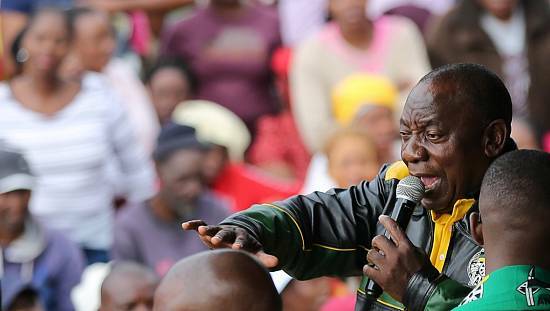 Rightly so, because they complete the ‘father of the nation’ – the man chosen by majority of the voter population to steer the affairs of state. Some are visible and powerful (politically), others are controversial. Some you hardly ever see but on campaign platforms, others go about their humanitarian activities. In the case of Uganda, the first lady is a cabinet minister. As part of our review of the 2017 news year, we put the spotlight on the political presidential showing that First Ladies made, with emphasis on when their husbands were being sworn into office. 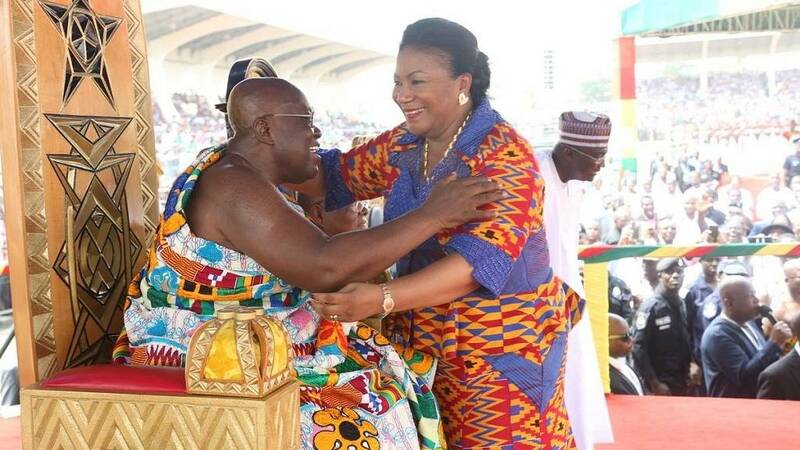 Ghana’s president Nana Addo Dankwa Akufo-Addo is hugged by his wife at the swearing in ceremony in Accra on January 7, 2017. 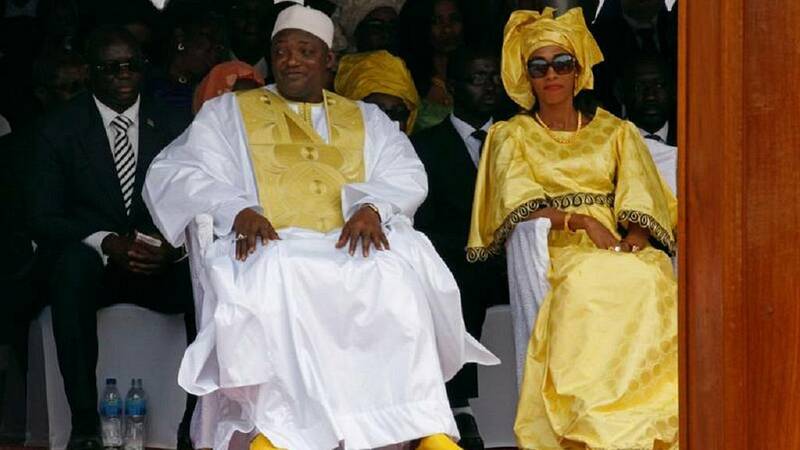 Gambia’s new President Adama Barrow is seen with his wife during his swearing-in ceremony at the Independence Stadium, in Bakau, Gambia February 18, 2017. 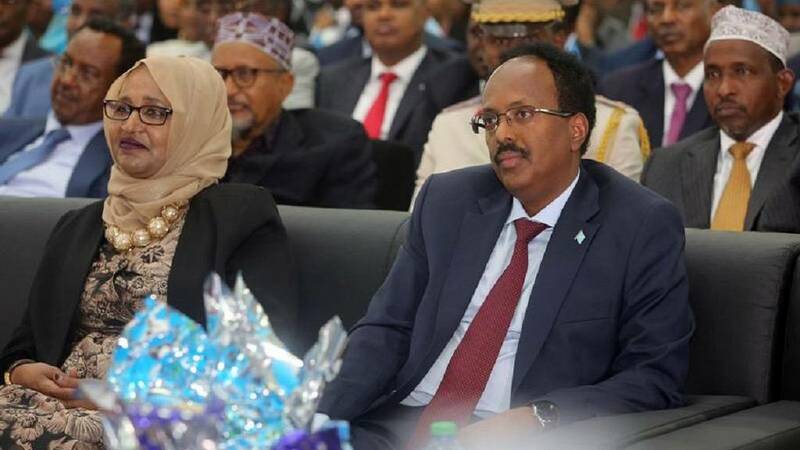 Somalia’s newly elected President Mohamed Abdullahi Farmaajo and his wife Zeinab Abdi listen to speeches during his inauguration ceremony in Somalia’s capital Mogadishu on February 22, 2017. 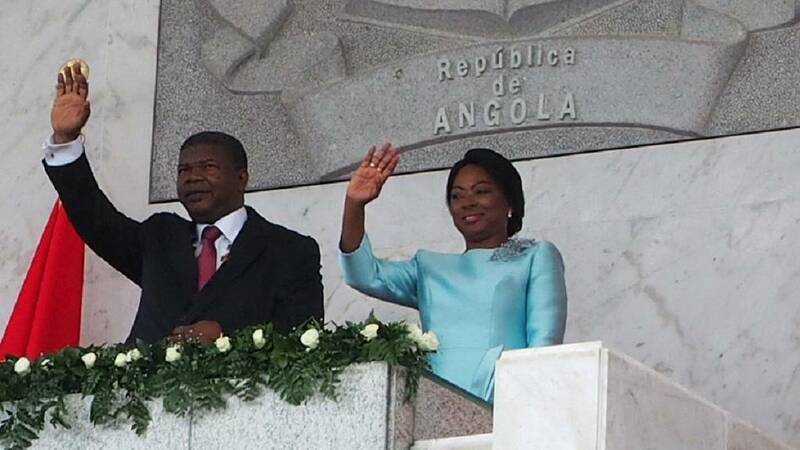 Angola’s new president Joao Lourenco waves after being sworn in as the country’s first new leader in 38 years in Luanda, Angola, September 26, 2017. 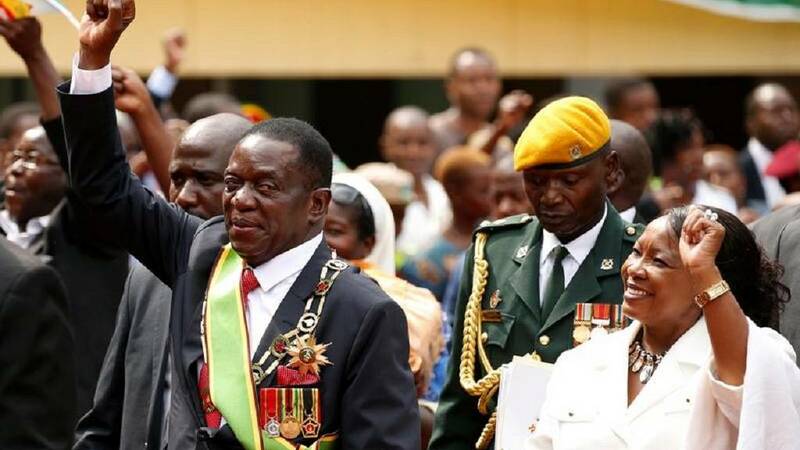 Zimbabwe’s new president Emmerson Mnangagwa and his wife Auxillia wave to their supporters as they leave after the swearing in ceremony in Harare, Zimbabwe, November 24, 2017. 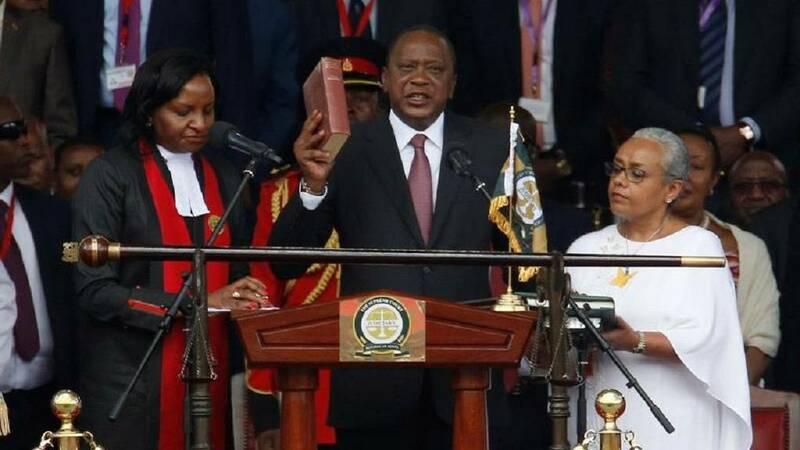 Kenya’s President Uhuru Kenyatta takes oath of office during inauguration ceremony at Kasarani Stadium in Nairobi, Kenya November 28, 2017. 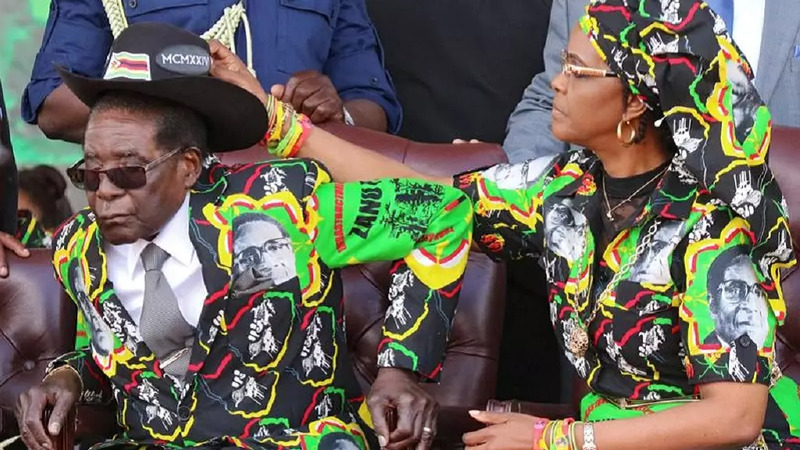 Up until November 21, 2017 photos of former Zimbabwean leader Robert Mugabe and his wife Grace at public functions were very popular.